It is starting to get a wee bit warm out here in Arizona. It has been in the 90s already … yikes! Since it has been such a cold snowy winter for the rest of the country, I hope it’s warming up for you wherever you are! Since spring has technically arrived and summer is around the corner, I have a refreshing drink for you. Meet my Strawberry Lemon Vanilla Float. This little taste of heaven will keep you cool right through summer. It also makes the perfect dessert drink for Mother’s Day! To top it off, I’ve got a giveaway for you! I am super excited about this one! 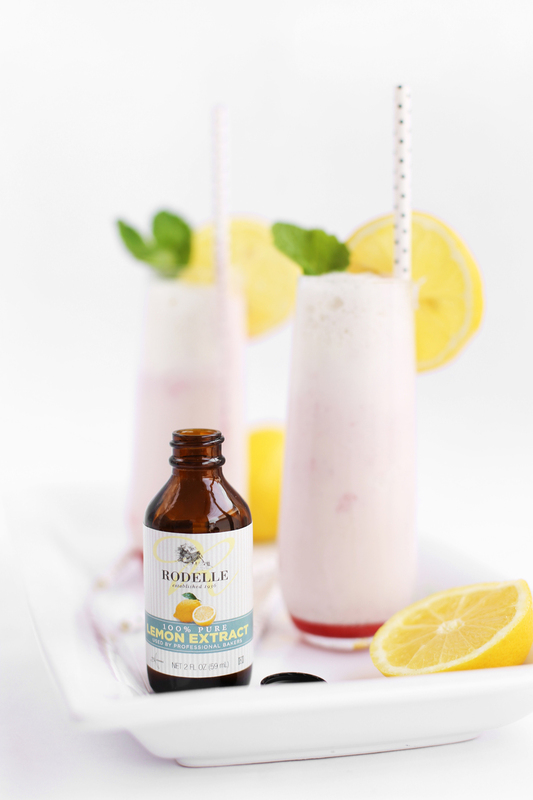 I am giving away a KitchenAid® Sparkling Beverage Maker along with a pack of 5 extracts from Rodelle: Pure Almond, Lemon, Anise, Vanilla and Chocolate! These will help you get started concocting your own yummy creations like this strawberry float. Yay! Read below for deets. Let’s get started with the strawberry float recipe shall we?! This strawberry float recipe is a cinch. The first step in how to make an ice cream float is to make the simple syrup. To do this, first place the water and strawberries in a medium saucepan and bring to a boil. Reduce to a simmer and cook for 15 minutes or until the strawberries are soft and a faded pink. Strain the liquid through a fine mesh sieve. Return the liquid to the saucepan. Add the sugar, lemon extract, and lemon juice. Heat the juice over medium to high heat until the sugar has dissolved. Let the liquid cool. Make a jug of sparkling water using a KitchenAid® Sparkling Beverage Maker. Just follow the directions that come with it. Fill your serving cups with vanilla ice cream. Pour in your desired amount of strawberry lemon syrup. Top off with some sparkling water. Garnish your Strawberry Lemon Float with lemon slices, mint leaves, and a fun straw. Does it get any more "spring or summer drink recipe" than this? 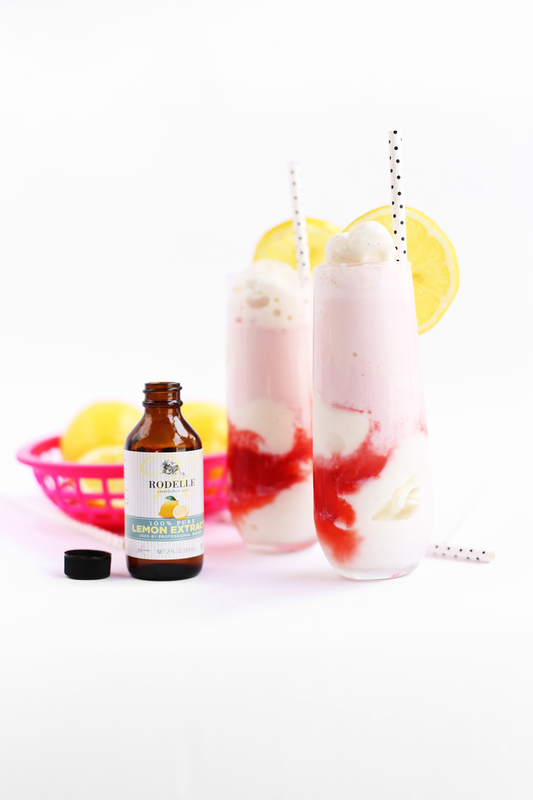 I mean this KitchenAid® Sparkling Beverage Maker and the Rodelle extracts will have you so inspired to come up with your own float recipes. They certainly had my wheels turning. This Rodelle Lemon Extract packs such a delicious punch. Let's just say this Strawberry Ice Cream Float didn't last long after the shoot. Sometimes I love my job A LOT. Rodelle makes some delicious products. I tried out the chocolate extract for a chocolate mint ice cream soda, and it was amazing. I was thinking of sharing the recipe and post, but I was worried it turned out a little too "St. Patrick's Day." Would you still want it? 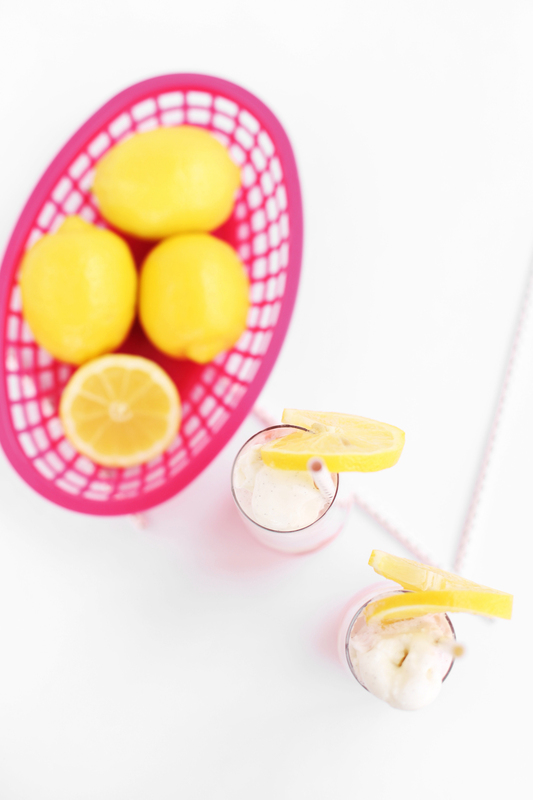 This Strawberry Lemon Vanilla Ice Cream Float is my new fave dessert! So now for the really fun part … the GIVEAWAY! 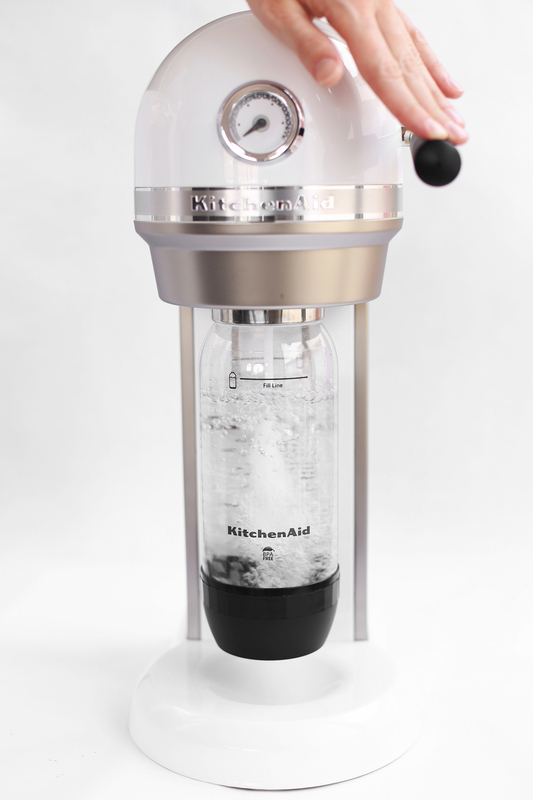 One reader will win a KitchenAid® Sparkling Beverage Maker. He/she will also win a pack of 5 extracts from Rodelle: Pure Almond, Lemon, Anise, Vanilla and Chocolate! The giveaway will run from Monday, April 6, 2015 at 6:00 am AZ time to Thursday, April 9, 2015 11:59 pm AZ time. The winner will be chosen randomly and will be announced on Friday, April 19, 2015. Enter below!